This entry was posted in CRM Intergations, Tall Emu CRM on May 19, 2013 by Darryl West. 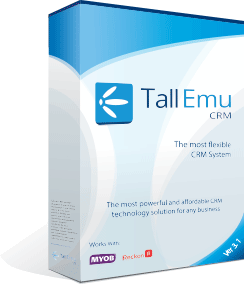 Tall Emu CRM is the “control centre” that manages and automates as much as your business as possible. While Tall Emu CRM is very comprehensive, it can use other systems to extend its functionality and streamline the business. Organisations generally have various systems with different scope and purpose. Each system has its role within the organisation and, while there is often overlap, a single system cannot provide all the business requirements. For example, Tall Emu CRM can do some accounting functionality (such as invoicing), but not others (manage the general ledger and produce monthly BAS). Similarly, accounting systems have some CRM-like functionality (manage customer contact details), but not others (manage contact interaction). Integration is where the different systems share and/or synchronise data, or make use of the other’s functionality. Reduce manual effort (and risk of errors) from entering the same data into more than one system. For example, an invoice can be created in Tall Emu CRM with the details exported to an accounting system with no re-entering of data. 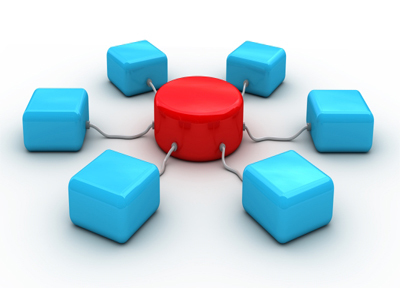 Have a centralised view of related data which originates from different systems. Extend the functionality of a single system; Tall Emu CRM can leverage the benefits of other specialist systems. Maintain consistency of duplicated data. For example, customer details can be synchronised between systems. Keep data up-to-date in different systems. Telephony: Over 20 phone systems. Webforms (eg, “contact us” web page). This entry was posted in CRM Intergations, Tall Emu CRM on May 11, 2013 by Mike Nash. Most businesses start with an idea and energy. In the early days, the focus is entirely on getting the business up and running with a strong focus on sales-related activities. After all, sales are the life blood of the business and they need to be generated as quickly as possible! With an online store, excel spreadsheets and an off-the-shelf accounting system the business takes it’s first steps. And then the orders start. With luck, the business grows and all of a sudden a different set of problems start to happen. These are the problems we can solve by linking our CRM with shopping cart. Taking orders over the phone and via one more shopping carts can be inefficient and hard to manage. With different systems containining different data, it’s hard to understand which orders have to be paid, picked and sent. With the Tall Emu CRM shopping cart link, all orders come into the same system, regardless of sales channel – orders from online store, telemarketing or sales teams all automatically appear inside CRM for processing. All price changes managed inside CRM are automatically Synced to the cart too, so you have one point of entry to manage your sales function. I’ve mentioned it in another post, but linking CRM to your shopping cart implicitly connects it to your accounting system. Orders downloaded from the cart are automatically updated inside CRM and can easily be transferred to MYOB, Quickbooks or Reckon accounts (and we’re currently working on Xero and emPower). It’s hard to have one view of the customer when your data is housed in multiple business systems that don’t talk to each other. By connecting your shopping carts to Tall Emu CRM you can see what your clients bought, and how they bought it over all your sales channels – but you can also see other CRM-based information about them such as contact history, email campaigns they have been a part of and whatever custom information your business requires on a day to day basis. What kind of reports can you get out of your shopping cart ? How do you consolidate online sales reports from the carts with your other sales reports, and how long does it take ? As your business grows reports, dashboards and analysis of information becomes more and more important – and one centralised source of information (the CRM database) allows for much more powerful reporting.